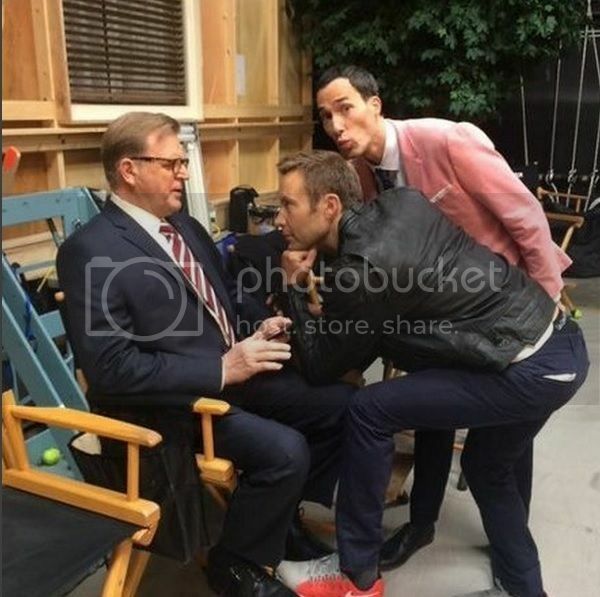 Impastor BTS pic from season 1 - HOT DAMN! Michael's twitter feed has been jammed with these kinds of tweets for the last 4 days. 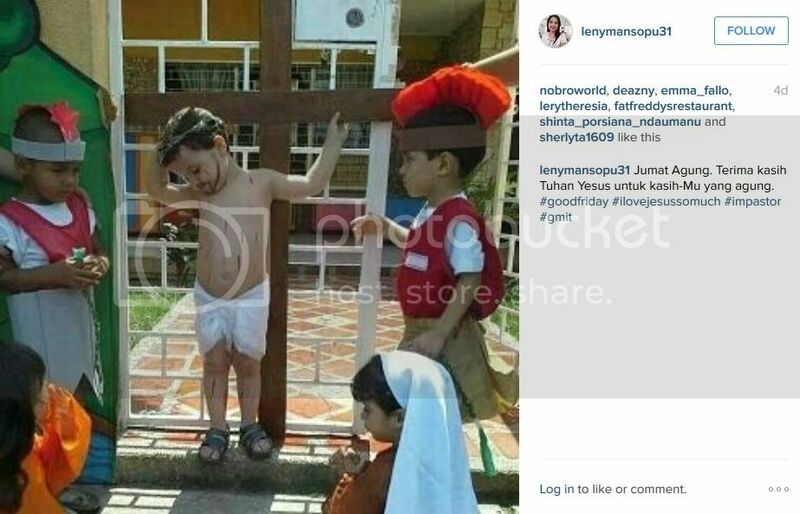 This photo is tagged "Impastor" so I thought at first it was from the show but no, that's actual toddlers reenacting the crucifixion somewhere in the world. Happy Easter! So happy my show is back again!!! July cannot come quick enough! But as long as people keep sharing shirtless BTS Michael pics, I won't complain. BvS would have definitely been better if Michael was Lex! Though, I do have to say, I was pleasantly surprised by Jessie Eisenberg. I have less interest in the 50 Shades than I do Nick Sparks, but I may have to cave and watch the next two (on mute) to see Eric and Tyler Hoechlin (from Teen Wolf). Heh, well I can imagine that Eric at least might take a tongue-in-cheek approach which might make his scenes fun...since he's not playing the lead guy, he can get away with camping it up a little! The more shirtless Michael pics, the better! Yay for Impastor! They've only been back in Vancouver a few days and we already have goodies galore! I am so looking forward to S2 on my TV, and all the BTS fun that leads up to that. Thanks so much for finding and sharing all these Michael treasures! Eric Johnson is one of my favorite follows on Twitter. Funny, smart, and genuinely nice. I hope the 50 Shades movie leads to other opportunities for him. I watch all his Hallmark/Lifetime/Syfy movies, and he deserves better. That toddler tableau is bizarre. I'm glad my childhood church never did anything like that, I would have been traumatized. Toddler nativity scene = ADORABLE! Toddler crucifixion = ???? Eric seems so grounded & lovely. Seems to find fun in everything, including the silliness of 50 Shades! I am so looking forward to S2 on my TV, and all the BTS fun that leads up to that. And I guess we'll know fairly soon if Tom might be a part of it...impossible to keep that under wraps is he's seen in Van! You know how badly I want to see Tom on Impastor, and I think if he would do a guest spot for anyone, it would be Michael. Come out & play, Tommy! 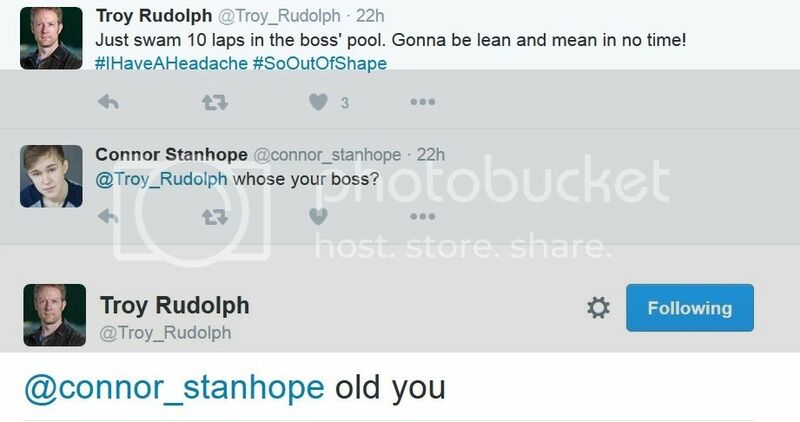 I'm finding the "Old you" comment very cute! 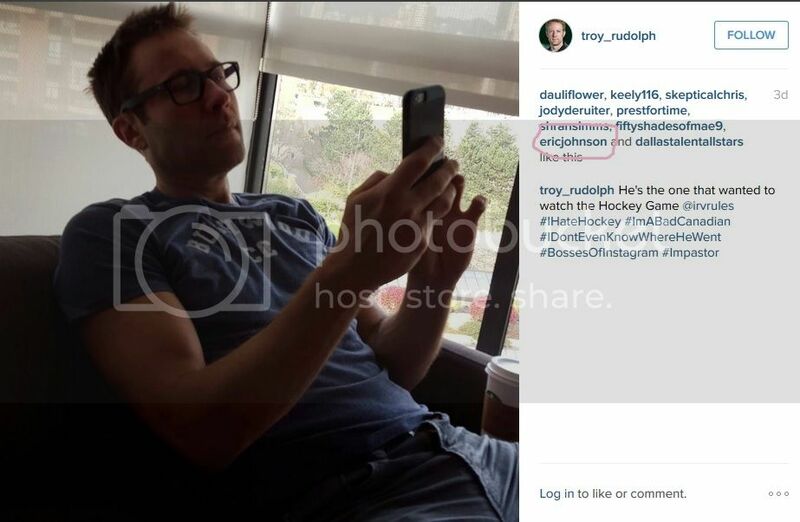 Yay for Troy! 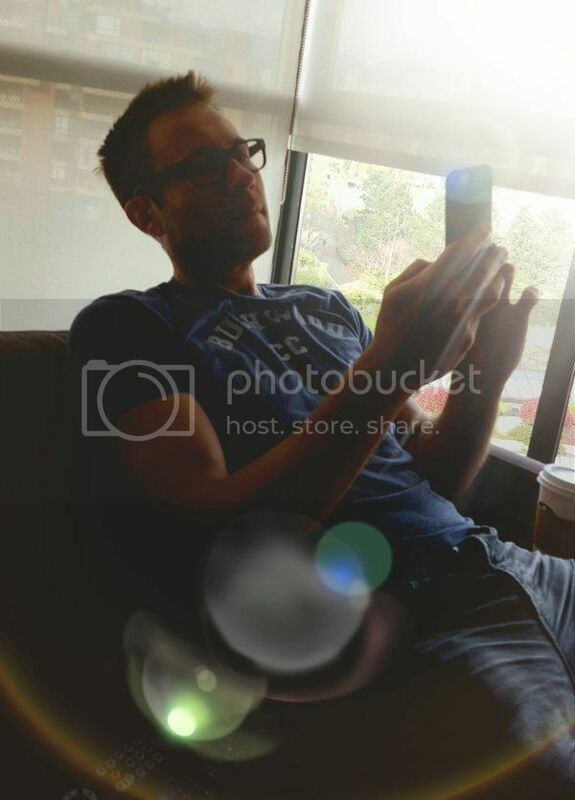 The boys seem to be having a fun reunion in Vancouver! He's so excited about Michael being back - it's adorable! And Connor immediately asked Troy to tell Michael he wants to be on Impastor, which I endorse - great young actor. And now Eric & Steve as well!